You would have had to have been hiding under a very large stone not to have heard that ‘Lords Of The Riff 2’ is soon to bring three of the best up and coming bands together for a tour of the UK. LOTR 2 begins next month, November 2014, taking in Leeds, Glasgow, Liverpool, Newcastle, Nottingham, Manchester, Colchester, Birmingham, Bristol, Stoke and London. Kyng, Anti-Mortem and Lionize have each worked on their craft for a good number of years – since the mid-to-late noughties – steadily growing their fan-base through the writing of great sounding music and seemingly tireless touring. 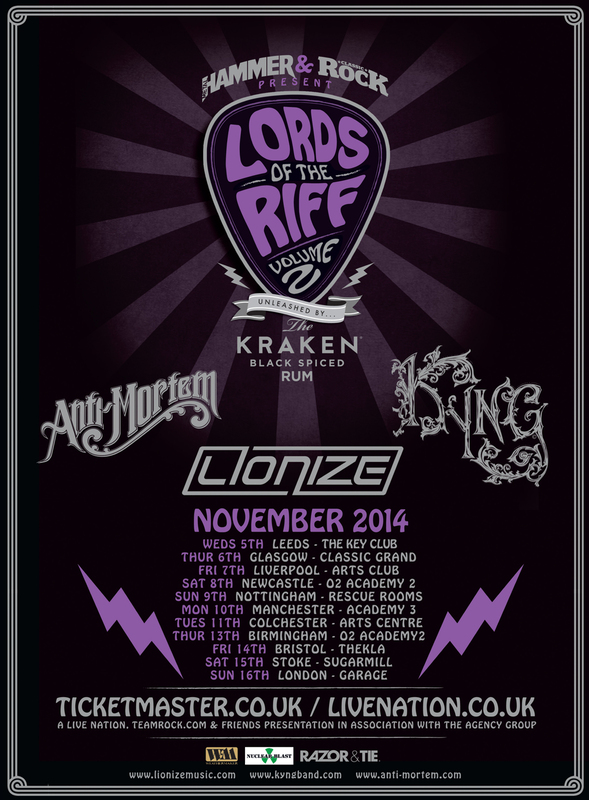 Lionize came over to the UK for the very first time earlier this year as tour support for fellow Weathermaker lablemates Clutch. The band complemented the headline act admirably, to the extent that the buzz heard coming out of the gigs was not just about Clutch, but Lionize too. We caught up with Nate Bergman (Guitar/Vocals) to see how the band felt about returning to the UK.